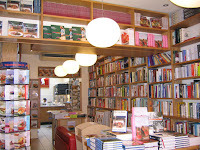 Writing Travellers said: "If you like cooking or good food, this is a shop not to be missed. It is absolutely fully packed with cookbooks and whilst you're browsing you will smell the food all around you as there is a cafe in the back of the shop where recipes are put to the test. If you're really keen to learn more, you can join one of their cooking workshops. " 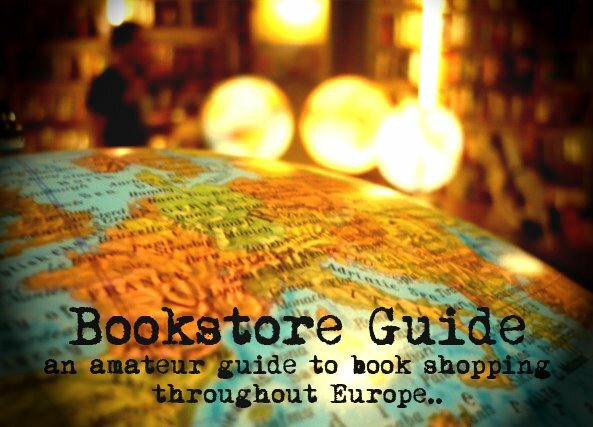 Something a little different to all the bookstores we have on our guide, Books for Cooks is a definite stop for all the food lovers, cooks, gourmands and other appreciators of food. In the shop, you see shelves crammed with books reaching from floor to ceiling, central tables piled high with yet more books, and you marvel - are all these books really cookbooks? Then, at the back of the shop, you spot the kitchen from which those appetising aromas exude. There is cookery in the air as well as on the shelves of this bookshop. Once discovered, food lovers wonder how they ever survived before Books For Cooks! Books for Cooks was founded in 1983 by Heidi Lascelles. Heidi was neither a trained cook nor professional bookseller. Heidi's aim to stock as many different cookbooks as she could find, and her readiness to track down a wanted book from whatever corner of the globe it came and then to despatch the book to whatever corner of the globe from which it was requested, soon earned the store a large international clientele. Books For Cooks quite soon outgrew its original, diminutive home, squeezed out by cookbooks and customers. And, in the new larger shop across the road, Heidi installed a kitchen where she hoped recipes might be tested and the cookbooks on the shelves brought to life. Rosie Kindersley and Eric Treuille, Books for Cooks' current proprietors, are convinced that the test kitchen is the secret of shop's success. Because of it, they say, "we are able to put theory into practice. Food here is not just something to be perused in books, it is something to be cooked, eaten and enjoyed. We can then really champion the books in which we know the recipes really work. It makes us more than a cook book shop - a shop for all cooks!" Books for Cooks is closed on Sundays, Mondays, Bank Holidays, the last three weeks of August and then days over Christmas and New Year, including Christmas Eve. This was one my highlights to my trip to London in March. The neighborhood is also very nice. Portobello Road is so different from the stress in Oxford street.